Edward (Ed) Laukes has spent almost 30 years at Toyota Motor North America. During that time, he has helped transform the company into a major player in the automotive category and a brand that is synonymous with quality. The division’s work last year for the 2018 Olympic Winter Games and Paralympics was indisputably exemplary. Furthermore, he has a vision for what automotive marketing can do to help make the world a better place that extends far beyond the company’s balance sheet. For these reasons, Laukes has been selected as MediaPost’s 2018 Automotive Marketer of the Year. He will receive the honor April 17 at the MediaPost Marketing: Automotive conference during the New York Auto Show at Javits Center. Laukes currently is group vice president of Toyota division marketing, responsible for all Toyota division market planning, advertising, merchandising, sales promotion, incentives, NASCAR and motorsports, and all social and digital media. He also serves as a member of the Toyota Racing Development board of directors. 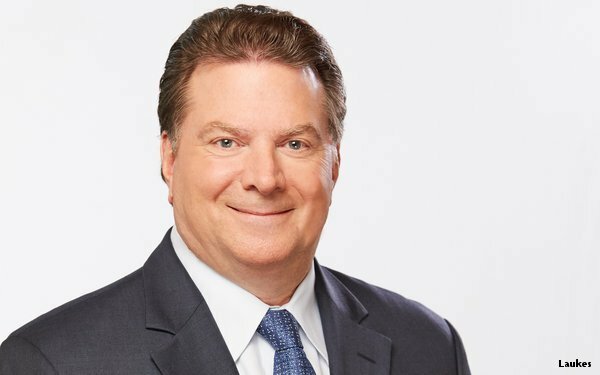 “In an era where we are inundated with negative and contentious messaging, Toyota’s campaign of positive programs and messages work to empower and inspire consumers, an effort that Ed Laukes has shepherded and empowered within the company,” says Scotty Reiss, founder of A Girl's Guide To Cars and a juror for the Marketing: Automotive awards. With the cornerstone idea of mobility for all, Toyota’s “Start Your Impossible” campaign ranges from fun Corollas playing tag to being a foundational element for Olympians and Paralympians dreaming of taking the podium. Toyota’s continued commitment to reaching multicultural audiences resonates deeply with all consumers, she adds. Since joining Toyota in 1989, Laukes has held various positions in both the Lexus and Toyota divisions, including management positions in the field. Prior to his current position, he was vice president of integrated marketing operations, and vice president, engagement marketing and guest experience. Before joining Toyota, Laukes worked with Buick and American Honda.